GBPUSD has been bearish on the H4 chart. The price seems to have started a correction as well. 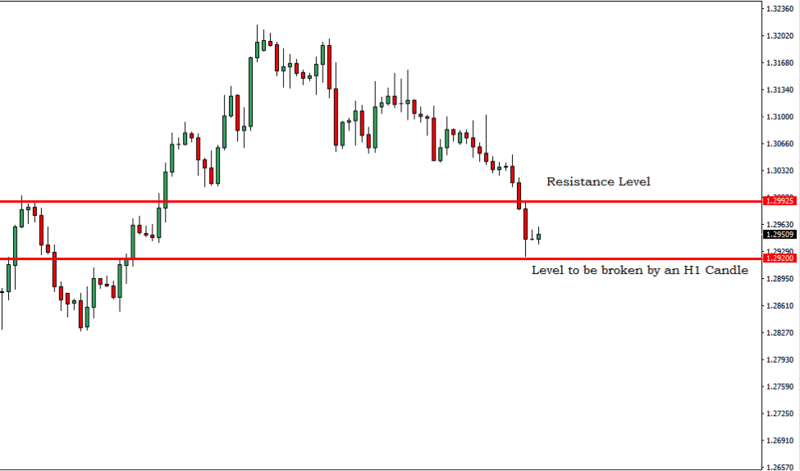 There is a level of resistance nearby which might hold the price. If the level produces an H4 bullish engulfing candle and later we get an H1 breakout at yesterday’s lower low, then selling the pair would get us some green pips. The USD has a high impact news event today ‘President Trump Speaks’, but the GBP does not. I assume the pair would run very technically today. Another thing is the signal would take at least 2 more H4 candles to complete its correction. Thus, the traders have enough time to get ready and take the entry. Meanwhile, we must be patient and keep our close eyes on the pair to get a full wave correction, an H4 bearish candle and an H1 breakout at yesterday’s lower low to take the short entry as described on the trade setup today.